It may be a little soon to start thinking about what duds you're going to pack for Coachella this year, but it's definitely not too soon to start getting your ears ready for the music festival of the year. Yesterday we started counting down the 30 days to Coachella with a little history on Oberhofer and some of their tunes. t=”_blank”>St. Vincent — maybe because we haven't given the fine indie princess the praise that she is due. 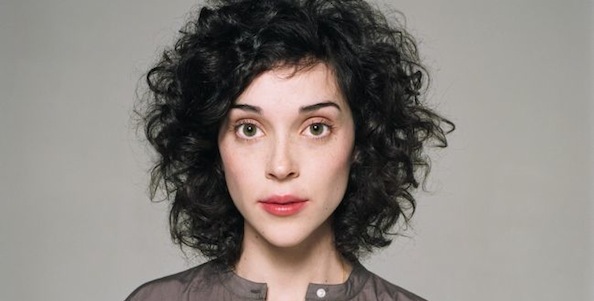 The quirky and weird Annie Clark was originally part of Sufjan Stevens' band and also a member of The Polyphonic Spree, a massive chorale group that only sang songs of ultimate joy. Peep the next three videos and then make sure, whichever weekend you're going, to check her out on Saturday!